Web design is a fast moving market and trends move just as quickly. 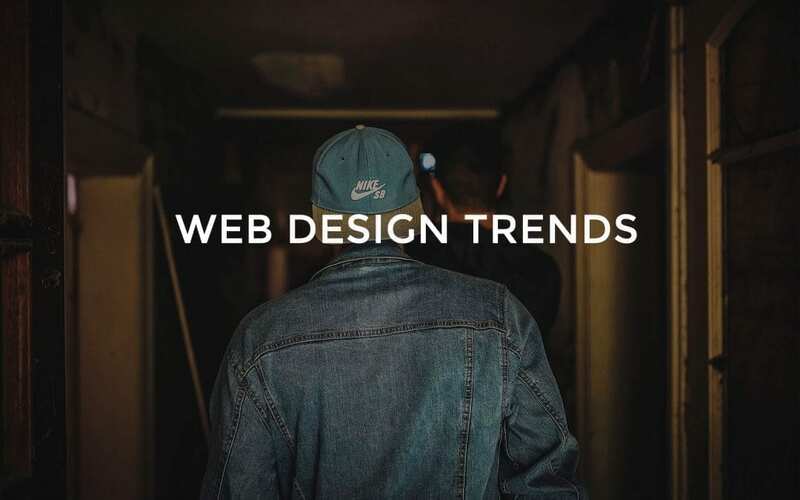 The web is a unique environment which is constantly changing and evolving, and with that in mind, we are here to run you through some of the top trends that we are predicting. Bold design has become the face to websites. Keeping designs simple with just an image in the background and the then clear bold text has become the new must-have for every business. Typography is a powerful visual medium and it is able to create personality and give a website a good vibe for the user. Our design agency Bournemouth expects to see a huge increase in over-sized and full-screen typography. In addition to this, we also predict to see more gird and masonry layouts. As these off a great way to display videos and all the other information that your consumers may need. For any more information on your website please give our design agency Bournemouth a call or drop us an email and we will be happy to help you in any way that we can. Browsers and digital languages are becoming more and more advanced as time goes on and from this advancements, we can see a few big changes. We’re seeing more websites move away from the use of static imagery and move towards others ways to engage their users. One of the many ways that they are getting more consumers engaged is by animation. This is very similar to video where information is taken quicker and easier than text. Essentially it is easier to convey information to your consumers. This is something that more and more brands are working on in hopes to capture their consumer’s attention. Animations come in all shapes, sizes and styles. They can range from tiny loading screens which are used to keep people busy while waiting for content to load, to a hover state on an image or link. Having such a vast range of different uses means that animations have become a big part of every website, A great example of animation is WordPress. WordPress has recently added customer animations to their structure. This allows users to add animations that keep the users interested and it adds some nice touches to the website as a whole. With all this being said. They should be used sparingly, and carefully, to enhance the user’s experience and not distract them from the product or service. Another downside of animations is that it can add to the loading times and affect SEO results. They say that a picture paints a thousand words, but a video does that tenfold. Very Similar to animation. a moving image on a page captures the user’s attention and hopefully, that video is the difference between you and a competitor. Video is by no means a new thing in the world of marketing but in the most recent month’s video-based content has come to the forefront of marketing and how businesses are reaching their customers. Video has many different advantages over traditional photography. Static imagery is flat and motionless, videos are more dynamic and use sound and movement to engage the viewer and hopefully convince them to buy your product. Statistics show that in 2018 already 79% of all consumer internet traffic is already video based and 50% of all mobile traffic is video based as well. This is being caused by the rising use of websites such as YouTube and Facebook being used mainly for videos.